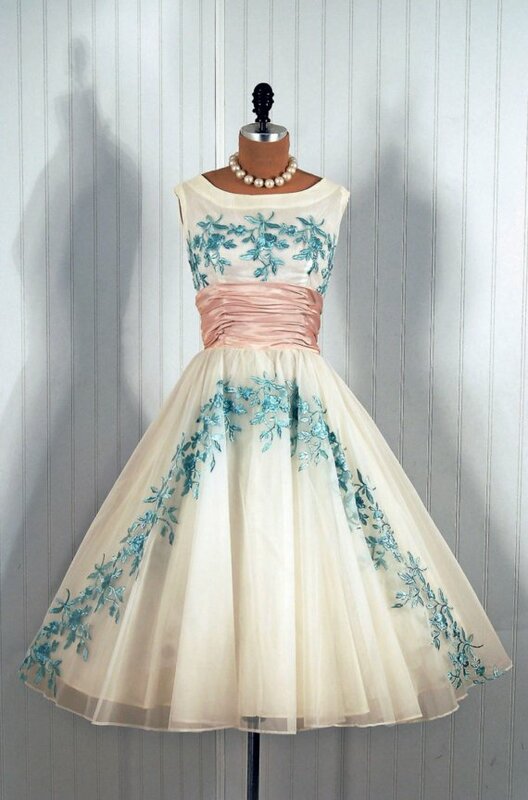 Don't you just love 1950's style dresses? I do. 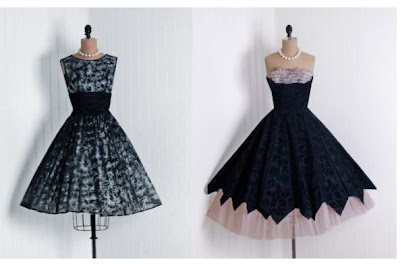 I found this cool Etsy shop, Timeless Vintage Vixen that sells these amazing dresses. these are awesome. i would love to wear one, get my hair in a smooth,aquanet up-do, and hit the... "town?!" I think that top one is my favorite, too. I had to go look at every single dress and CURSE the fact that I couldn't even get my big toe in those gems! 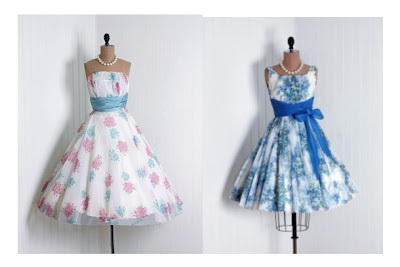 ooh, I like your favorite plus the one with the blue bow at the waist. Wouldn't it be lovely to wear any of them?! wowww this shop is sooo beautiful!!! love it!! definitely my fav is tots the black print one, sleeveless with pearls. so pretty! I LOVE vintage clothes! That is mostly what I wore in High School. 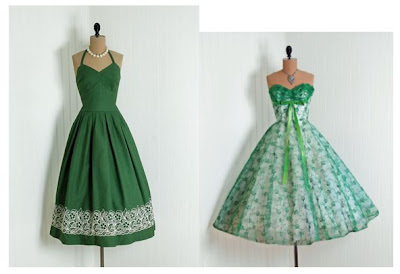 I have some awesome dresses from the 40s-60s. These are all gorgeous! Your favorite might also be my favorite. Adore! everyone i wanna go to winter formal, maybe we should all chip in:) and you could borrow it anytime! Oooo! I LOVE that green with the neck straps and the black one on the bottom left. Both gorgeous! I often imagine how great life would be in the 50s. Then I wake up and realize I couldn't manage without the internet and a lot of my modern day conveniences...oh well. I can still dream, right!? So Sofia day!!! I luv it!!!! !